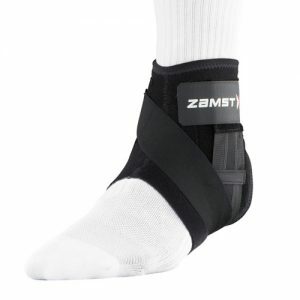 Niche offering from ZAMST , newly researched product developed as a dedicated supporter for the Achilles tendon. 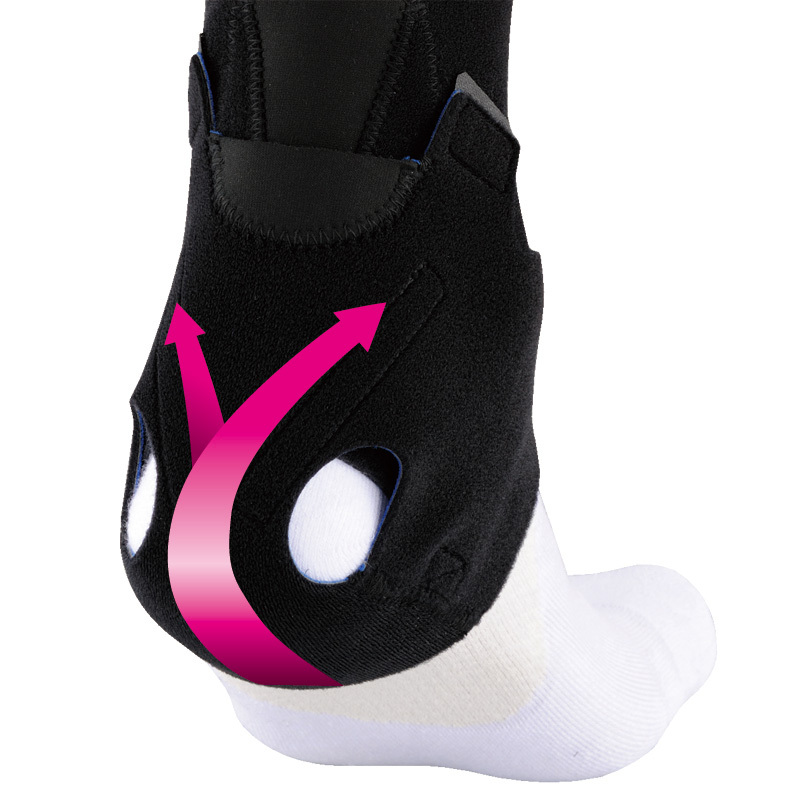 The AT-1 enhances the stability of the heel ensuring the achilles tendon is firmly supported. The outer strap has a taping function (heel-lock) and stabilizes the ankle. 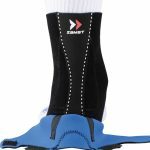 A non-stretch material is used for the taping function (dorsiflexion restriction) by the outer strap and it restricts the Achilles tendon being extended. 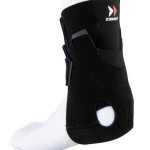 Soft and cushioning material is used around Achilles tendon to support it comfortably. n changes shape and orientation from a broad flat tendon to a more round structure that spirals and inserts into the heel bone or calcaneus. Achilles tendon pain is a common problem in athletes due primarily to overuse injury. 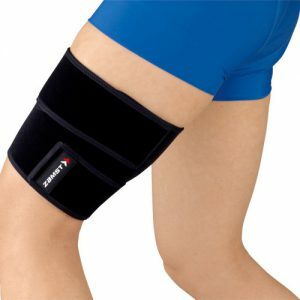 In runners, it has been reported to occur between 7 – 9% annually. Generally, studies note predominately males with a mean age between 30 and 50 years are afflicted. Individuals who experience this condition may acutely report swelling and localized pain in the mid-substance of the Achilles tendon a few centimeters above its insertion into the heel bone. This is known as “Tenosynovitis” of the paratenon which is the sheath that covers the actual Achilles tendon. Others may report pain directly at the insertion of the tendon into the bone, but this occurs less often generally and in older athletes. Over time the condition may improve symptomatically but the process of degeneration of the tendon may start or have begun prior to ever feeling pain. This is known as Achilles tendinosis or tendinopathy. When an individual ignores the signs and symptoms of this problem, they may actually rupture the tendon one day during an activity as simple as stepping off a curb or changing direction suddenly with the ankle bent into a deep flexed position, such as is done prior to jumping or digging a ball in volleyball. 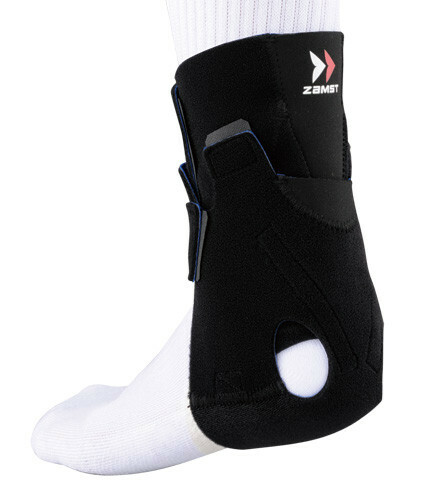 This can happen in even younger athletes when there is predisposing deficit that can affect the ankle or Achilles. Injury to the Achilles may be caused when an athlete has a tight calf and lacks ankle dorsi flexion (bending deeply), has calf weakness, has specific systemic problems such as connective diseases or taken certain antibiotics, and a flatter or pronated foot. Training errors such as increasing intensity or mileage too quickly, colder environmental factors, and faulty equipment may also be associated with Achilles tendinopathy. In any case, it is a very good idea to seek medical attention to have the problem properly diagnosed and treated. Treatment of the Achilles depends on the amount of time a person may have experienced the problem. 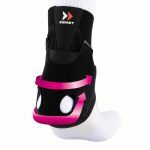 Acutely, applying ice regularly, modifying rest, using a slightly raised heel, and commencing mild pain-free stretching of the ankle is beneficial. Chronically, non-operative treatment is usually successful which should include implementing an eccentric exercise protocol. The protocol involves progressing a heel raise with the uninvolved foot and then lower the heel down to the floor or off a stair with the involved calf for 3 sets of 15 repetitions twice per day, at least 5 days per week. 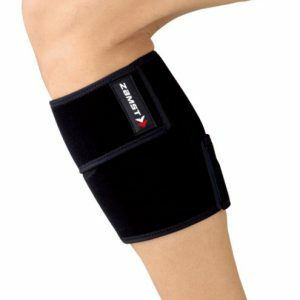 The protocol should be done with the knee straight and bent during sets with a progression of weight over a 12 to 16 week period. During the first 6 weeks of the protocol, not competing and lifting specifically for the calf is recommended. 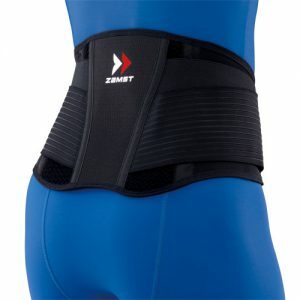 Significant decreases in pain and improvement in function have been reported following 6 -12 weeks of this intervention. Long term follow up ranging between 2 and 8 years suggests between 71 – 100% of patients with Achilles tendinopathy are able to return to their prior level of activity with minimal or no complaints. 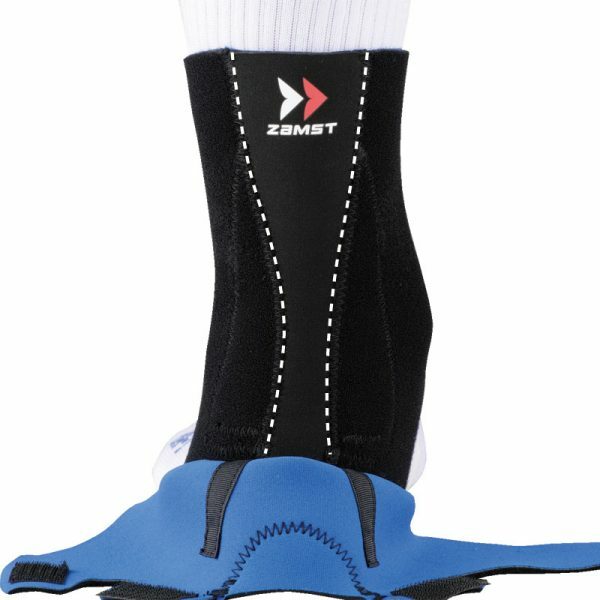 Zamst AT-1 will help to reduce pain and allow earlier return to activities. Following these guidelines will allow the athlete to reduce the chance of other related injuries or further Achilles issues. Alfredson H, Lorentzon R: Chronic Achilles tendinosis: recommendations for treatment and prevention. Sports Med. 2000; 29: 135-146. Ohberg L, Lorentzon R, Alfredson H: Eccentric training in patients with chronic Achilles tendinosis: normalised tendon structure and decreased thickness at follow up. 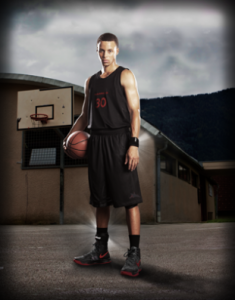 Br J Sports Med. 2004; 38: 8-11; discussion 11. Paavola M, Kannus P, Paakkala T, Pasanen M, Jarvinen M: Long-term prognosis of patients with achilles tendinopathy. An observational 8-year follow-up study. Am J Sports Med. 2000; 28: 634-642. Stanish WD, Curwin S, Mandel S: Tendinitis: its etiology and treatment. New York, NY: Oxford, 2000. Martin RL, Paulseth S, Carcia CR: Taping Techniques for Achilles Tendinopathy. Orthopaedic Physical Therapy Practice. 2009; 20: 106-107. This is Photoshop’. Sed non mauris vitae erat consequat auctor eu in elit.